The policy, which went into effect in November, is intended to curb the widespread overuse of antibiotics across nursing homes and other long-term care facilities. Antibiotics are the most frequently prescribed medication in nursing homes, and studies show that 40% to 75% of such prescriptions are inappropriate, according to the Centers for Disease Control and Prevention. This has contributed in part to antibiotic resistance, which has been deemed a global health concern by the United Nations. PruittHealth gathered leaders across its organization to implement policies that would comply with the agency's stipulations as well as be applicable to its more than 80 long-term facilities spread across four states. The provider educated its staff about the changes, creating webinars and other materials. It also trained pharmacists to be infection preventionists that review prescribing patterns data, identify infections through diagnostic testing and follow up on potentially inappropriate drug orders. Even though the program has been successfully rolled out across its centers, it needs constant retooling. "We are still working this, we are still implementing pieces as we go to try to make the program stronger," said Crystal Bowens, senior vice president of professional services at PruittHealth. Implementing stewardship programs at long-term care facilities requires a significant culture change, leaders say. Physicians have to amend their prescribing patterns, pharmacists must diligently monitor prescription data and nurses need to watch out for any changes in patients' conditions. "It really has taken a team effort. We have to monitor things closely," said Tuesday VanTuyl, director of nursing at Brookside Inn, a skilled nursing facility in Castle Rock, Colorado. But studies show stewardship programs are an effective way to lower infections in healthcare facilities. A 2016 study found stewardship programs at acute-care hospitals, which have have been required by the CMS since June 2016 to have a program, caused a 4.5% decrease in bacterial infection rates and length of stay fell by 8.9%. The programs also save providers money. The study found costs associated with antibiotics fell by 33.9%. "On the whole, we are seeing that providers are embracing (the requirement)," said Holly Harmon, associate vice president of quality and clinical affairs at the American Health Care Association. But long-term care facilities have some unique challenges to create and maintain their stewardship programs, Harmon said. The CMS also requires acute-care hospitals to have stewardship programs, but they benefit from more resources compared to long-term care facilities. Hospitals typically have specialty infectious disease doctors and lab testing on-site. Stewardship programs often use labs to culture infectious organisms so technicians can determine what antibiotics are appropriate for treatment or if no antibiotic will help. 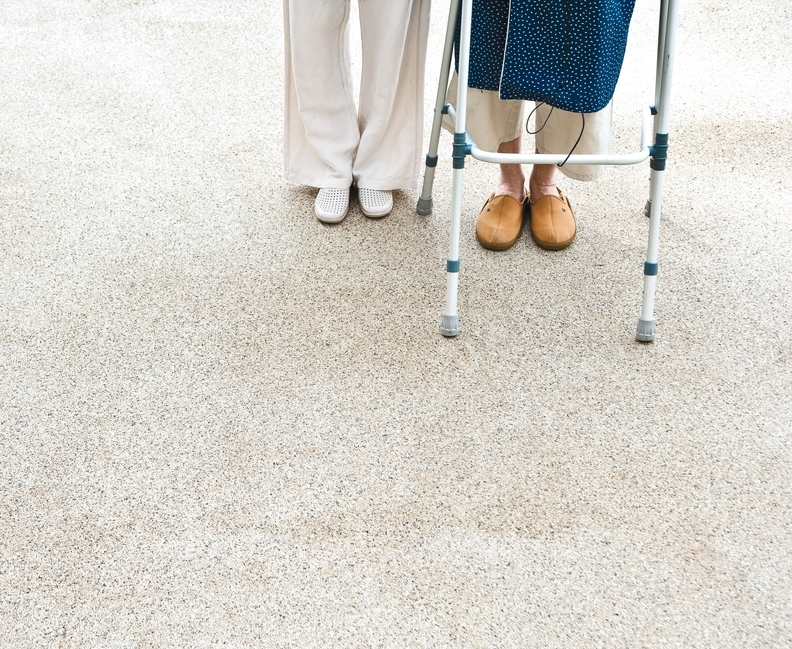 At long-term care facilities, physicians usually only visit a few times a week to check in on their patients. Pharmacists and lab testing is also resourced out. Because of these circumstances, long-term care facilities have to improvise to make the programs work, Harmon said. The CMS acknowledged these challenges in its October 2016 final rule and said it would allow facilities the "flexibility" to decide which national standards they wanted to follow. The agency cited the guidelines created by the CDC, the Society for Healthcare Epidemiology of America and others as sufficient for nursing homes to abide by the rule. At Brookside, VanTuyl said the team followed the CDC's "Core Elements of Antibiotic Stewardship for Nursing Homes" to establish their program in 2015, before the CMS' final rule was even proposed. Sarah Schumann, director of operations at Brookside, said decreasing inappropriate antibiotic usage was a strategic priority for the facility so that's why they implemented a program before the CMS required it. Similar to most nursing homes, the physicians and nurse practitioners visit the patients at Brookside about twice a week. The pharmacist and lab are both resourced out. As Brookside's trained infection preventionist, VanTuyl is constantly on the phone with these clinicians to review antibiotic orders and to ensure they are within the CDC guidance. Most clinicians have given her their cellphone number. The goal is only to prescribe an antibiotic to a patient when appropriate and to ensure it's the correct one. VanTuyl said it's been a cultural change for the providers but they have been supportive of the effort. "We have found a lot of physicians are advocates for antibiotic stewardship. They understand the ramifications of overuse and they are on top of wanting to do the best thing for our residents," she said. Nurses have also been critical to the program's success. They monitor patients' vitals closely to ensure the patient is OK without an antibiotic. They even explain to families the facility's approach. Sometimes it's hard for families to understand why an antibiotic isn't being given, VanTuyl said. The facility has offered families educational sessions and materials so they know about the stewardship program. The program is having an impact. Urinary tract infections at Brookside have decreased from 4.33% of patients in 2015 down to zero patients in the fourth quarter of 2017. Even with its success, VanTuyl stresses the program needs ongoing monitoring and education for both staff and families. "It's a continuous process, there always has to be follow-up, it never ends."